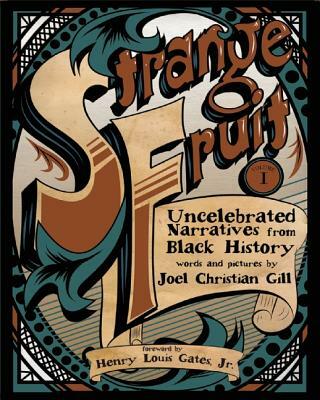 Joel Christian Gill is the chairman, CEO, president, director of development, majority and minority stock holder, manager, co-manager, regional manager, assistant to the regional manager, receptionist, senior black correspondent, and janitor of Strange Fruit Comics. In his spare time he is the Associate Dean of Student Affairs at the New Hampshire Institute of Art and member of The Boston Comics Roundtable. He received his MFA from Boston University and a BA from Roanoke College. His secret lair is behind a secret panel in the kitchen of his house (sold separately) in New Boston, New Hampshire where he lives with his wife, four children, talking dog, and two psychic cats.